Shadowing others during interviews, closing calls, etc. You might see different structures at different companies. For example, the sourcer role is commonly seen at many companies and has a place in their career track. Some companies don’t have the Associate Recruiter role. And at many companies, a Recruiting Coordinator isn’t necessarily a stepping stone to a Recruiter role. To help his team with their career growth, DK has established a development plan for all members. A 14-factor metric is used for team members to identify their own strengths, competency and goals. With a career plan that focuses on learning, DK is seeing the rewarding payoffs of grooming and growing technical recruiting talent from within. It has reduced the need of hiring experienced industry technical recruiters from outside while successfully partnering with the rapidly expanding software engineering teams at Redfin. 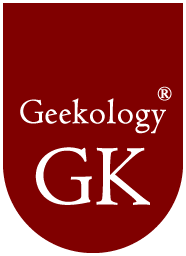 Don’t forget to sign up for our newsletter and follow us on Twitter@g33kology to get more articles like this to help you learn more geek language.